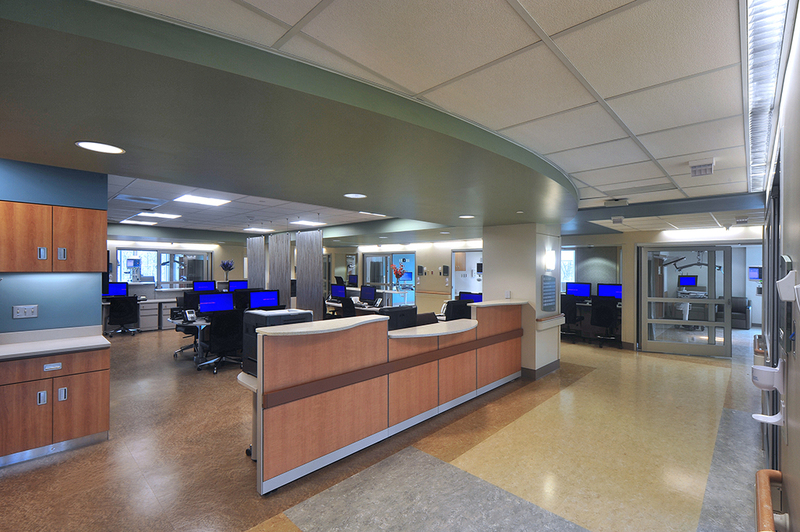 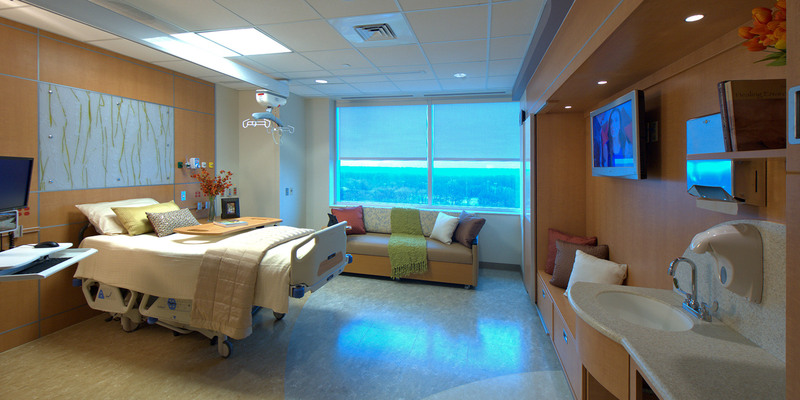 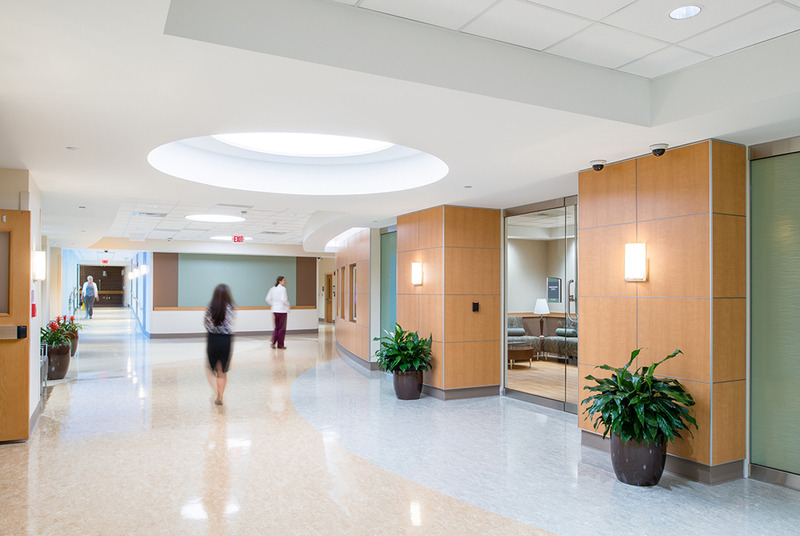 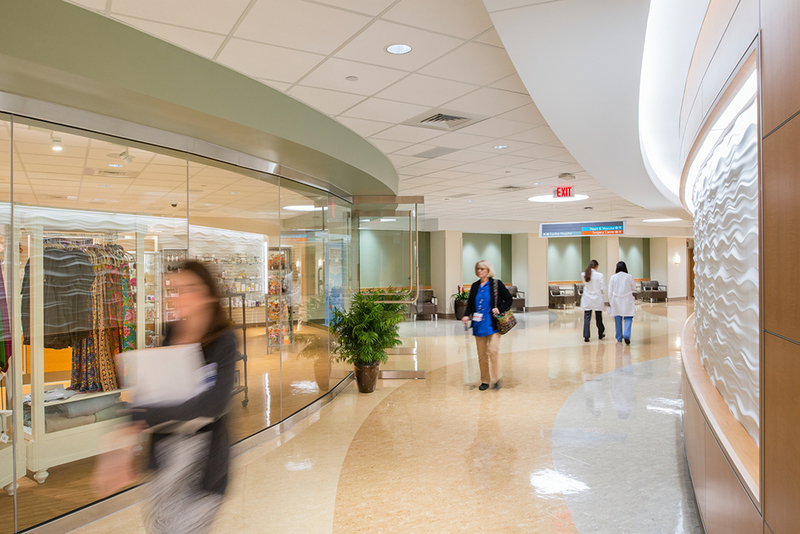 Develop an efficient, cost effective strategy to modernize the hospital’s medical surgical and critical care beds to alleviate overcrowding and increase focus on patient amenities. 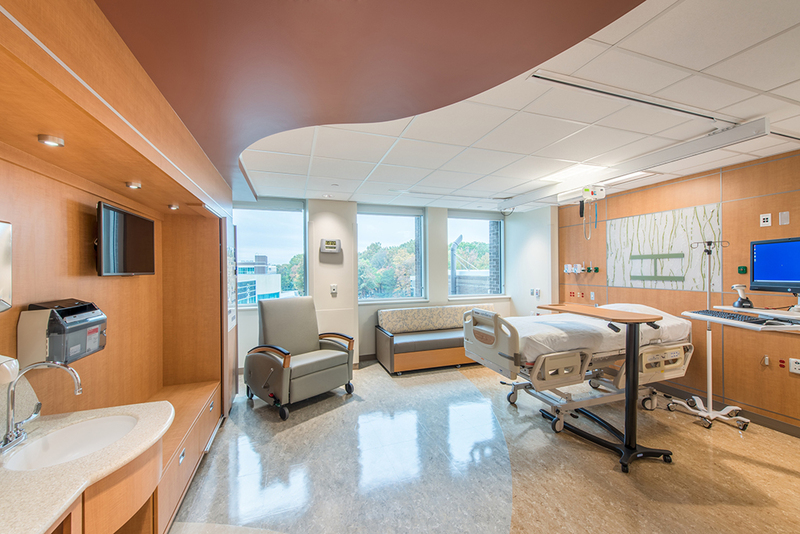 To prevent any loss in capacity, this ambitious project was completed in three phases: a new, 174 bed South Tower addition and the complete renovation of the existing North Tower to create 169 private beds and 24 short stay beds. 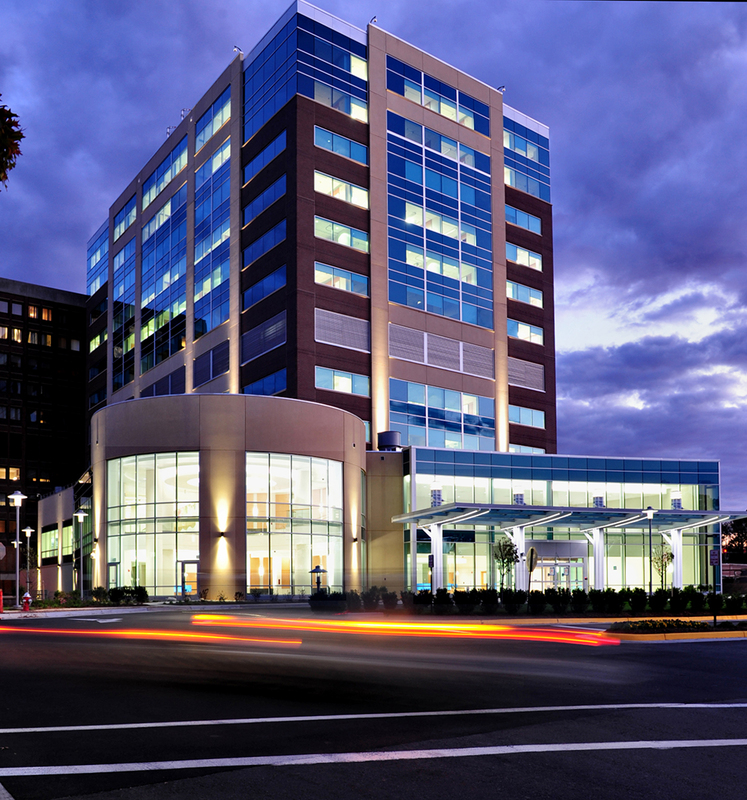 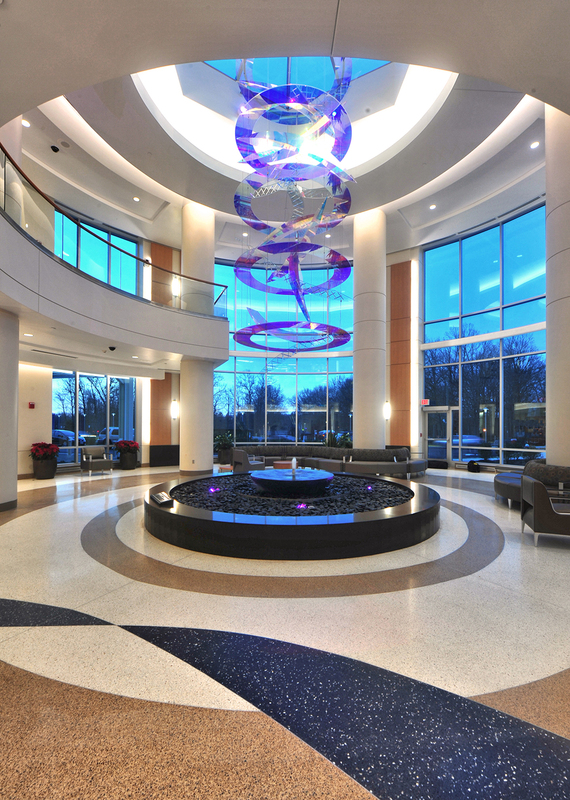 Located along a new Wellness Boulevard, the South Tower creates a powerful sense of place, serving as the main entry for the hospital.